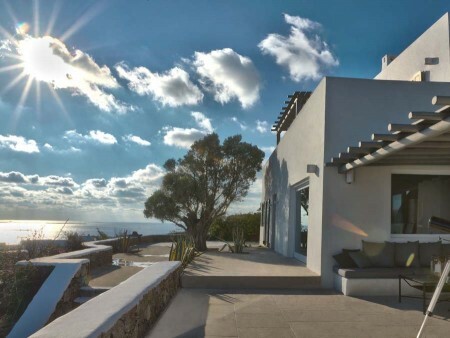 villa Diamante, is a luxurious villa with helipad and chapel on a land of 10.000m2 , and located in Pirgi between Paradise bay and super Paradise beach, with uninterrupted sea view of Naxos and Delos islands. 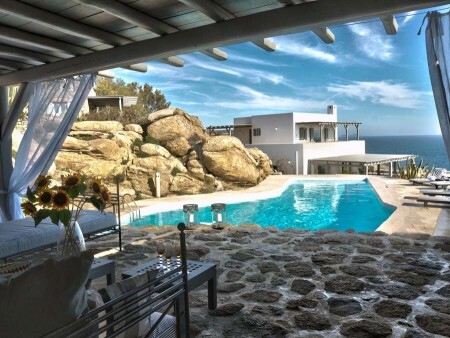 Villa Perla is a 260m2 villa on a 10.000m2 land, in Pirgi ,between Paradise bay and Super Paradise beaches. Just a few minutes drive from the famous beach restaurants Jackie ‘O and Cavo Paradiso.